The rising value of residential property in Battersea, Brixton and many other areas of London presents landlords who let their rental homes to private sector tenants with three pain points. How to ensure you continue to meet a landlord’s ever-increasing legal and health & safety obligations. Offering prospective tenants a professionally managed property speaks volumes about you as a landlord and your buy-to-let investment. Eden Harper’s dedicated property management team takes the responsibility for all aspects of the day-to-day running of your rental property, leaving our landlords free to realise the full benefit of their investment. What is your experience of property management? Who will be managing my rental property? What methods would you use to market my property and attract tenants? Our directors have more than 50 years’ experience of the lettings market in London between them, our management team is either Association of Residential Lettings Agents-qualified or well on the way to completing their qualification, while Eden Harper is also a member of the National Approved Lettings Scheme, the The Property Ombudsman and SAFE Agent. From the moment you instruct us, you will have a dedicated and experienced Property Manager who specialises in the area where your property is located. The experience and knowledge of the local market offered by Eden Harper’s Property Management Service ensures that the lettings process for landlords – and tenants – is stress-free and simple. We’ll manage all aspects of renting your property, starting with up to date advice on a landlord’s legal obligations regarding Gas Safety checks, tenants’ deposits, Right To Rent legislation and whether your property will require a new Energy Performance Certificate or Legionella assessment. We will also arrange for an independent check in and inventory make if needed. 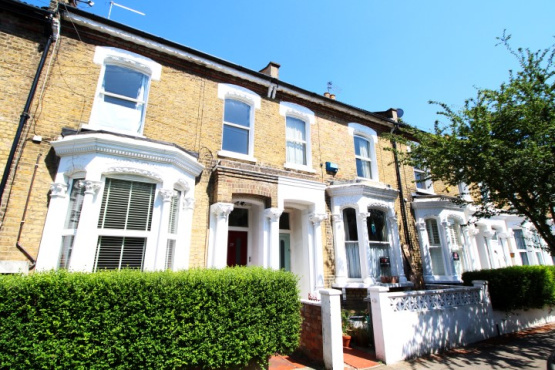 Eden Harper has a database of tenants looking for good quality properties in Battersea and Brixton and extensive marketing that includes portals such as Rightmove, Prime Location and Zoopla. To ensure your rental property provides a home for responsible tenants who will look after the property and pay the rent on time, we carry out professional tenant referencing, Right To Rent checks and, if required, arrange landlord insurance that protects you against non-payment of rent and covers any associated legal costs. Legislation requires landlords to register deposits paid by tenants with a government-approved deposit protection service. Registering deposits is included in our full management service and we assist with deductions and any disputes that arise at the end of a tenancy. To ensure your property complies with legislation designed to ensure rental homes provide the highest level of safety and comfort for tenants, Eden Harper can arrange small jobs such as replacing a shower curtain to installation of a new boiler, with suitable follow up to check the work is carried out to a good standard. We also use tried and tested local tradesman as well as qualified electricians and Gas Safe registered plumbers and engineers. Before the start of the Assured Shorthold Tenancy agreement, you may want things added, removed, assembled, painted, repaired or bought. We can provide all these services (additional costs may apply and are detailed on our terms and conditions) or put you in touch with suitable contractors and service providers, to see that this is looked after and your tenancy gets off on the right foot. Once a tenant has moved into your property, Eden Harper continues to offer landlords an unrivalled level of service. As well as your in-house local property manager being able to deal with any enquiries from tenants, we carry out an inspection of your property every six months, and provide you with a full report plus photographs. If you prefer to manage the maintenance of your property, then Eden Harper’s Rent Collection service includes comprehensive marketing of your property, collecting the rent throughout the tenancy and dealing with the renewal or termination of the tenancy. If a tenant decides to move out of your property at the end of the Assured Shorthold Tenancy agreement, we can arrange for the check out and the remarketing of your property. You will have other questions about how Eden Harper’s property management services can maximise the value of your rental property and reduce the amount of pressure being a landlord can involve. We’re happy to help in any way you need us to, from explaining the tax implications of registering as a non-resident landlord to sharing our list of testimonials from our long list of satisfied clients.